A bargain at any price. Earlier we reported on North America's next Nintendo Selects games, and now we know that two titles will join the range in Europe too. 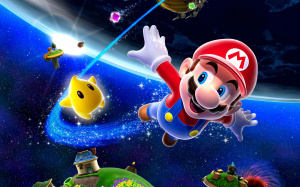 Super Mario Galaxy and Legend of Zelda: Twilight Princess will both drop to a budget price from 16th September. Will you be picking either of these games up when they go cheaply? I'm sure most people will have these games already but for anyone who doesn't - You must buy these now. Both are amazing games and are well worth the purchase. Now if Mario Party 8 or Fire Emblem became Select titles i'd most likely get 'em. I don't have Twilight Princess yet. I may get it, maybe not as Skyward Sword is just around the corner. @LTD Well then for your sake I hope Fire Emblem does become a Select title because it's totally worth getting. I love both Path of Radiance and Radiant Dawn. Bought, completed and traded SMG, bought, got bored rigid with all the brown and traded TP. @Late Personally I'd recommend still giving Twilight Princess a shot before Skyward Sword comes out. It's a great game and well worth the money and time. That's just what I think though. @LTD Mario Party 8 is a bit rubbish and not worth it. Hah, this is great! I've been so close to buying Twilight Princess used a couple of times recently, but now I'll wait for this instead. Yay! Haven't played either so good news for me. Yes that's great news, might help Nintendo sell some more systems! Why no Super Paper Mario or Punch-Out!? Especially SPM is really hard to get in Europe. I already bought them, but only 2 games for us, while the US got four? Not to mention 2 games every Wii Owner SHOULD aready have played? um, I guess thats good news for the 8 or 10 people that haven't already played those ancient games. Already got these. Hooray for those who haven't, I guess. 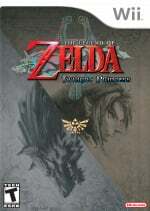 Twilight Princess is probably the last Zelda game I'd ever wan't to play. The ugly, drab, baren, bland, uncolofrul brown & green color scheme is a compelte turn off. Skyward sword visually looks MILES more appealing. I loved TP. 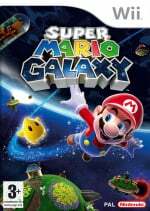 If they ported it to the 3DS I'd buy it in a heartbeat.